OmniSeal® brand is a member of Saint-Gobain Seals’ family of critical parts engineered for sealing control made from Fluoroloy® polymer materials. Since the early 1950s, OmniSeal® seals have been widely used for extreme environments in various industries where low friction, high load and extreme temperature are required. They were designed to bridge the gap between conventional elastomer lip seals and mechanical face seals. 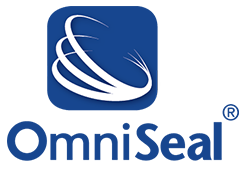 The OmniSeal® brand includes OmniLipTM.